For the latest news see our homepage. The column Joel Solkoff is writing concerns three small towns in central PA.
1. State College, where he lived in a de facto nursing home for 15 years. 2. Nearby Bellefonte where the county courthouse is located. The courthouse is infamous as the place where Penn State’s child molestation trials and convictions took place. Bellefonte is an architectural treasure. Anna Keitchline, the first female architect–a spy in WorldWar I– lived and worked there. 3. Williamsport, the center of Central PA (instrumental in helping elect Trump President). The focus here is on the Creative Class Movement of which the Pajama Factory is an important piece. This is an urban planning story. 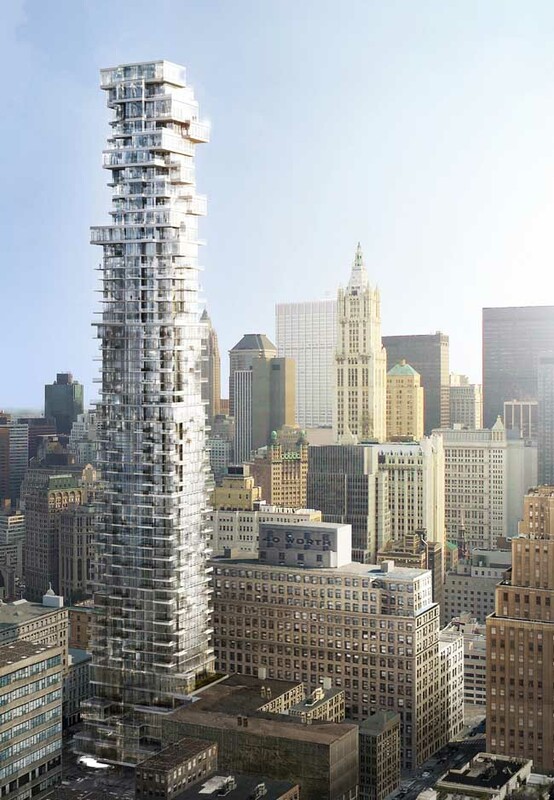 Original content from e-architect’s Joel Solkoff based in the US. Architect Mark Winkelman and his wife advertising executive Suzanne are the founders of the Pajama Factory, a complex of seven buildings on 30,000 square meters of real estate in Williamsport, PA.
Williamsport is one of a number of US communities that constitute what urban theorist Richard Florida describes as the “creative class”. Professor Florida estimates that one third of the US workforce– about 40 million Americans–constitute this class which defines creativity to include such diverse fields as engineering, bio-engineering, and software design. Other creative class communities include Tribecca in Manhattan and Paducah, Kentucky. Carlo Aiello recently designed a scale-ruler fountain pen for architects and engineers. The pen is currently on Kickstarter for two more weeks. He designed this pen for the architectural community. When studying architecture he actually wanted a pen like this one and now he has decided to make it available. See more on our Architectural Products page. Mark Winkelman drives three hours to Williamsport from New York City to manage his nine-building domain in the portion of central PA where pockets of poverty have remained since the US 1930s Depression. Exclusively for e-architect UK, NYC architect Winkelman describes his early career working for Phillip Johnson and about the architectural design lessons learned during an extended stay in Japan. Joel’s column returns shortly with this and other startling news about Anna Keichline, Pennsylvania’s first female architect who also served as a spy in World War One, Bellefonte’s 1850s Centre County Courthouse, and how local government entities on the sub-county level have led to chaos at Penn State’s bedroom town of State College. Joel’s range extends from justice architecture and the progressive architecture movement to make prisons warm and friendly places to Stste College/PennState/StateDepabrtmenof Transportation’s failure to plan ten and twenty years into future. Worthy of special attention is how PA Transportation Secretary Leslie Richards has created chaos with her focus on cars, cars, cars above all else coupled with her remote control of the street on which Joel lived last month, but no more. 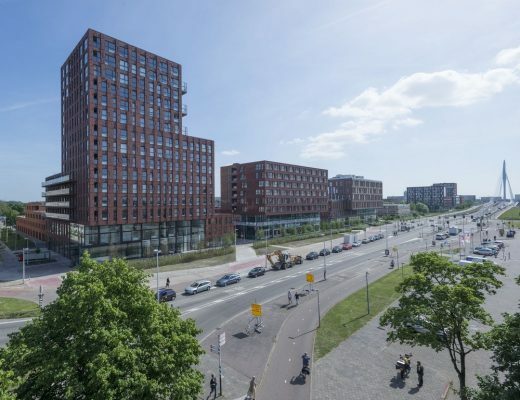 A cascading grid of 169 housing units for Oscar Properties next to Norra Tornen designed by OMA Partner Reinier De Graaf: two large new buildings by world-famous architects. 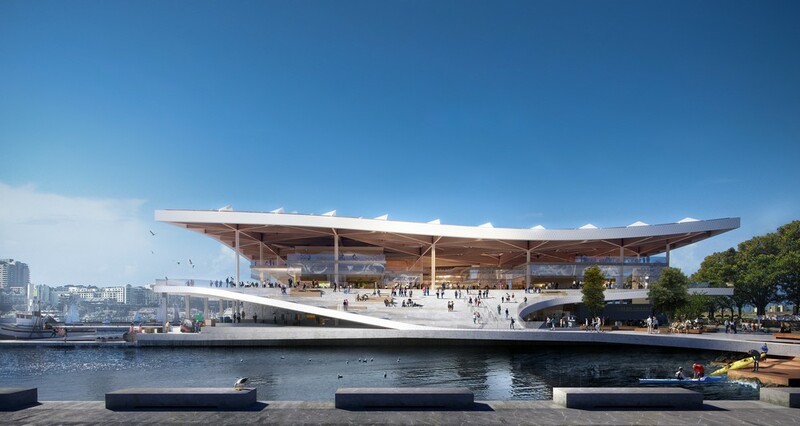 The largest fish market in the southern hemisphere is envisioned as a major public and cultural amenity and an icon for Sydney. 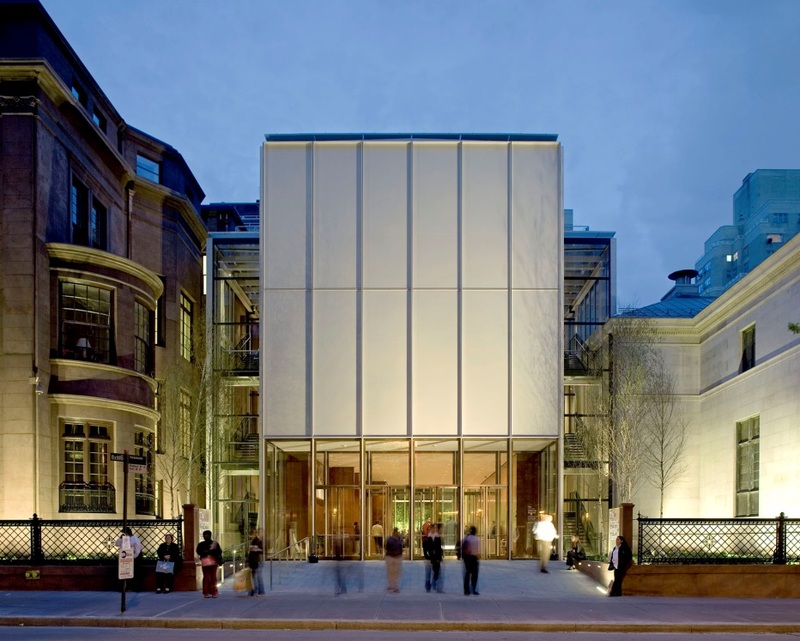 One of the most consistent findings by Colin Ellard, who researches the psychological impact of design at the University of Waterloo in Canada, is that people are strongly affected by building façades: complex and interesting designs affect people in a positive way; simple and monotonous layouts affect people in a negative way. When Ellard walked a group past the long, smoked-glass facades of a Lower Manhattan store their walkinjg speeded up and their arousal / mood states plummeted. Walking past restaurants and store buildings had the oppsoite effect. April 17 to 22, 2018, the latest furniture designs from around the world with plenty of architecture studios involved. Enea will howcasing their new Kaiak Lounge chair and the Pile table, both designed by Estudi Manel Molina, and the Lottus Wood chair with wooden arms, designed by Lievore Altherr Molina, plus new versions of its praised Caddy, Puck and Ema collections and the Kaiak and Street seats. 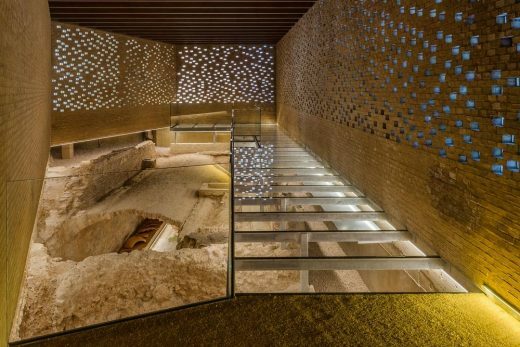 This Spanish architectural office wins the Land Rover Born Prize for the Architecture section. 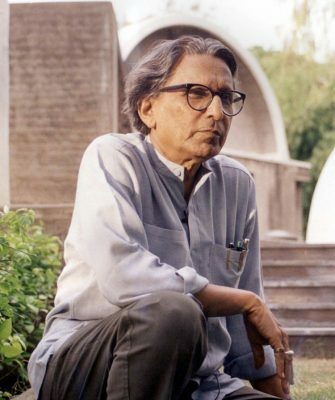 Professor Balkrishna Doshi, of India, has been selected as the Pritzker Architecture Prize 2018 Winner, announced the Hyatt Foundation, which sponsors the award, known internationally as architecture’s highest honor. 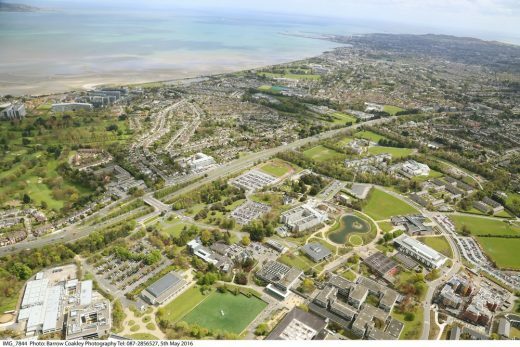 Two-stage architecture competition seeks urban design vision for 24 ha area of campus and concept designs plus a €48m Centre for Creative Design. The Jury includes top architects Sir David Adjaye and Ann Beha. 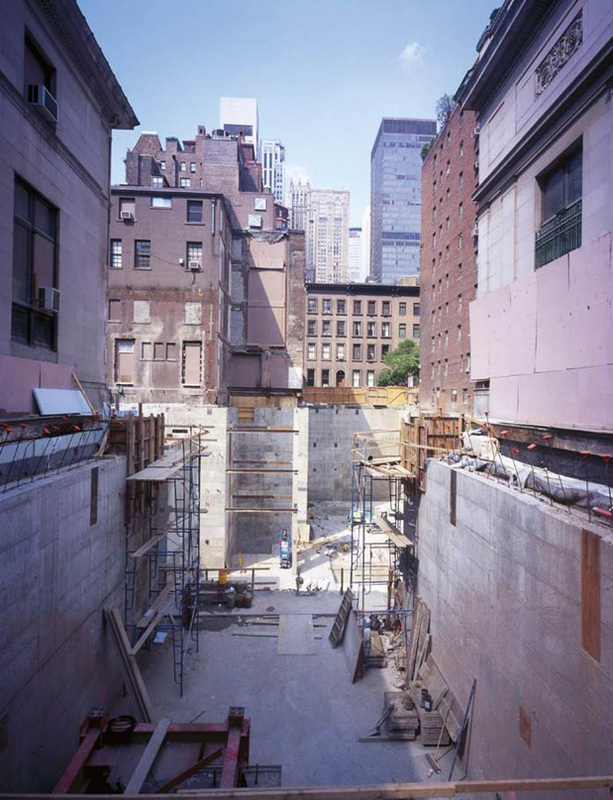 This bold architectural intervention consisted of “solving 5 departments of different types and an additional dwelling which is inside an old house” catalogued by the Institute National of Fine Arts. 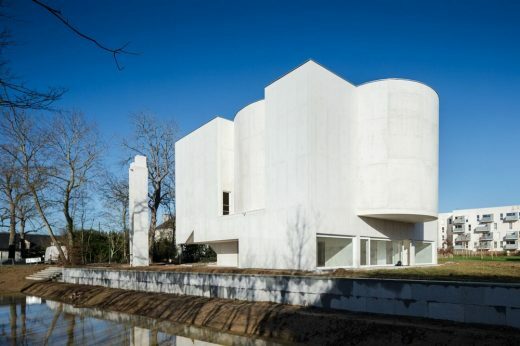 This religious building in Brittany was designed by the celebrated Portuguese architect Álvaro Siza Vieira. His use of simple white concrete forms provides a powerful ceremonial space that is sensitive to the low-scale residential neighbourhood south of Rennes. PERFORMANCE iN LIGHTING has been awarded with three prizes in two different discipline of this year’s iF DESIGN AWARD, a world-renowned design prize organized by the world’s oldest independent design organization, iF International Forum Design GmbH, Hannover, Germany. 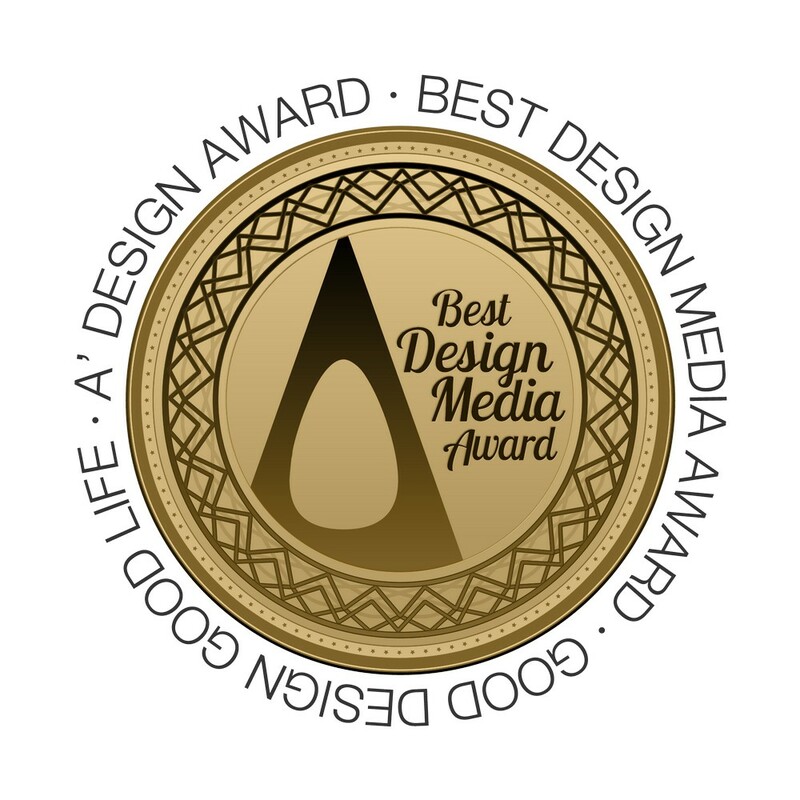 The selection was made by a 63-member jury, made up of independent experts from all over the world. Competition was intense with over 6,400 entries submitted from 54 countries around the world trying to attain the seal of quality. As part of commemorating celebrated US architect Frank Lloyd Wright’s 150th Anniversary, architects ACME, based in Hawaii, have produced 150 Special Limited Edition Women’s Clutches. The limited edition architectural product is made from Cherokee red vegan leather internally with black externally. It has a chrome zipper pull with the 150 FLW logo, plus a cable chain. 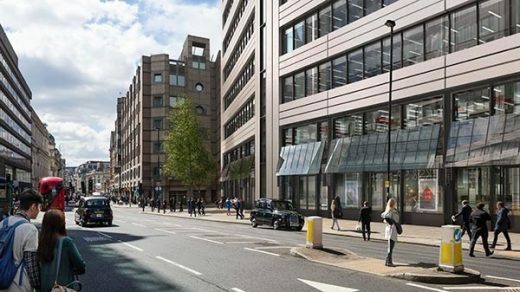 Planning consent granted unanimously by the Borough of Islington for this commercial tower building proposal. It makrs the corner of Ropemaker St and Finsbury Pavement. Construction works start on this building in Santa Fe, a key business district in the Mexican capital city, for over 220 apartments. 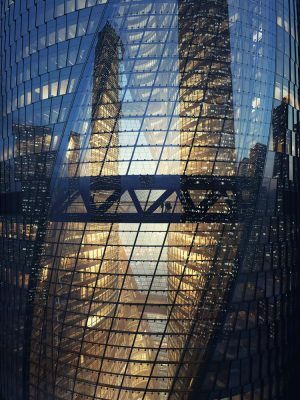 With over 50 floors, the new building will be the highest residential tower in Mexico City. 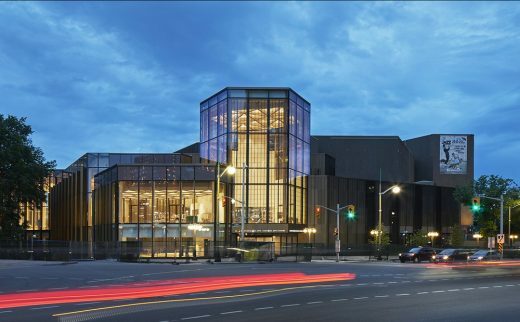 The Stratford Festival invited 50 international architects firms to submit their credentials. The committee then selected 8 architects to be interveiwed. Four architectural teams were then shortlisted and invited to take part in this architecture competition. Renewal proposal for this Grade II* listed structure, originally designed by architect Cedric Price with Frank Newby and Lord Snowdon in 1962. It was the first British aviary in Britain with a ‘walk-through’ format. The structure is located on the north side of a canal in the north west of the British capital city. Raising the game in mass housing with ‘Roses and concrete’ artwork and poem and an elegant, colourful façade of balconies. The ‘gatekeeper’ project is located in the post-war district of Kanaleneiland. Graham Foundation Announces 2017 Grants to Organizations Over $400,000 awarded to organizations supporting innovative and challenging ideas in architecture. Among the funded projects are exhibitions, publications, events, research projects, and site-specific installations and performances. 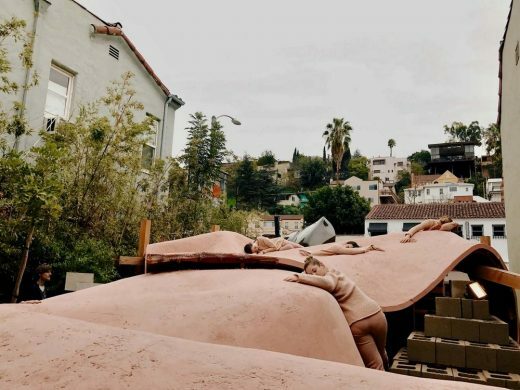 These diverse projects and programs advance new scholarship, fuel creative experimentation and critical dialogue, and expand opportunities for public engagement with architecture and its role in contemporary society. 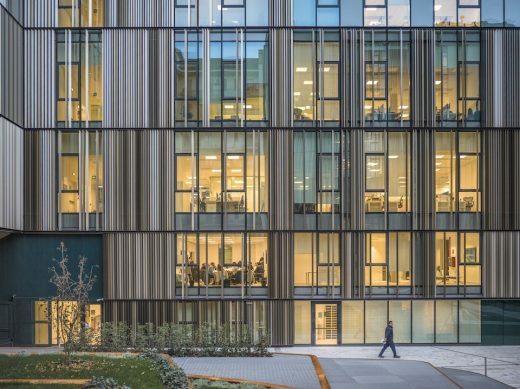 Reale Group Office Building in Turin designed by Iotti + Pavarani Architetti Artecna article posted on 3 Aug 2017 by Editorial Assistant Cole Dean. 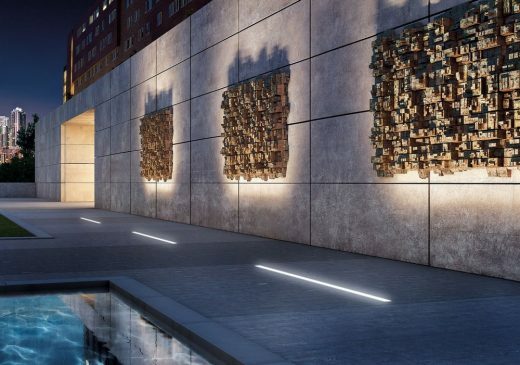 The project was created by the engineer Roberto Tosetti from Artecna with the winners of this architectural competition. Reale Immobili ran the design contest back in 2013. 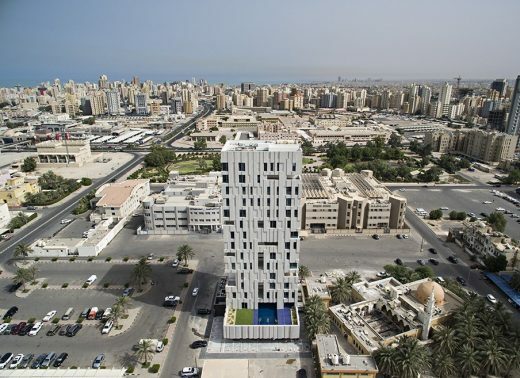 Wafra Vertical Housing introduces a new concept to urban living, transforming the single family dwelling typology to adapt to 21st century living in this small Gulf country. 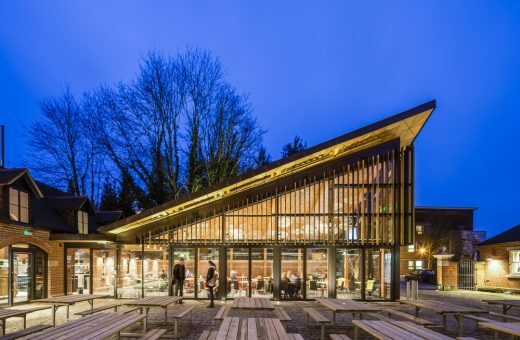 A new café pavilion and event space inserted into the original Boilerhouse complex courtyard serving the Grade I Listed Founders Building as well as the refurbishment of the original stable block into a seating and servery area. 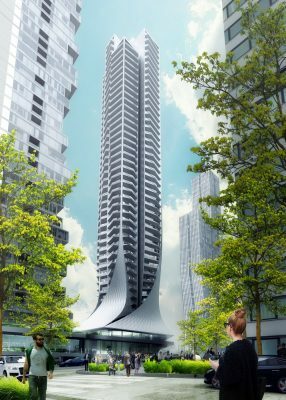 In Lot 1 BDP Architects beat HOK, Foster + Partners and Allies and Morrison. 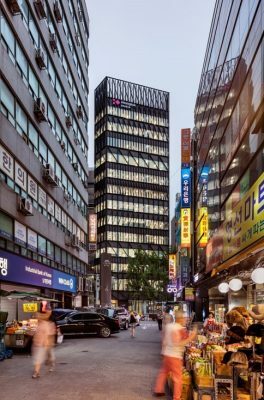 25 Jul 2017 – The Namdaemun Office Building in Seoul is Dutch architectural studio Mecanoo’s first completed project in the South Korean capital. Stark linear facade patterns make for a powerful architectural form. 24 Jul 2017 – A major expansion of the largest academic library in Canada. 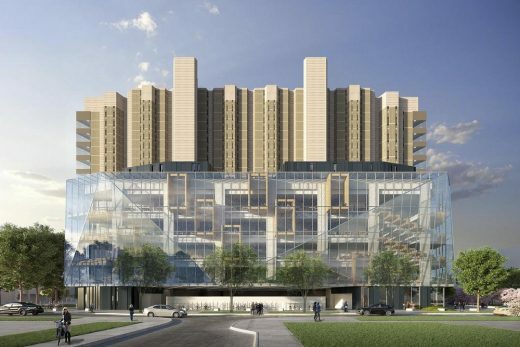 The University of Toronto will add 1,200 work and study spaces to the concrete Brutalist building. 137 cladding samples from high rise buildings have now failed fire safety tests carried out for the UK government by the The Building Research Establishment Ltd (BRE). EVERY panel tested has failed the government’s combustibility tests. Scotland is not included in the current testing regime but the Scottish Government is carrying out a similar review. 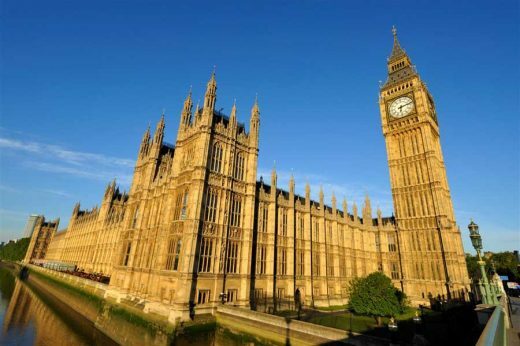 The British Government looks to be facing a cladding safety bill of around £600m after the Grenfell Tower fire. Clearly those involved in the prcourement of UK buildings have focused too much on cost savings and not enough on building safety. 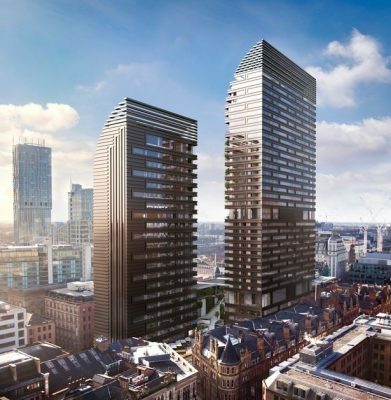 Manchester City Council confirms that former Man Utd footballers Gary Neville and Ryan Giggs have requested this major city centre scheme be put on hold. 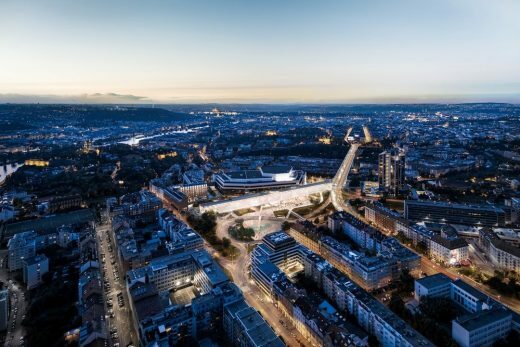 Speaking at the MIPIM property fair in France, footballer-turned-developer Neville said he wanted the proposal to be more refined before ebing considered by MCC. 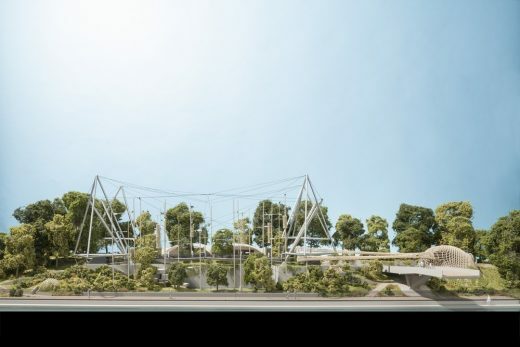 The current design is by Make Architects, based in London. 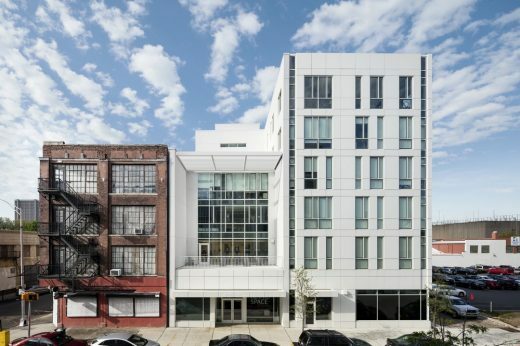 Completion of three new Workforce Housing Buildings in Newark. These new buildings provide 123 residential units and a variety of retail spaces. Within the Teachers Village project, all buildings by this celebrated architecture office have been designed with open interior spaces full of natural light. 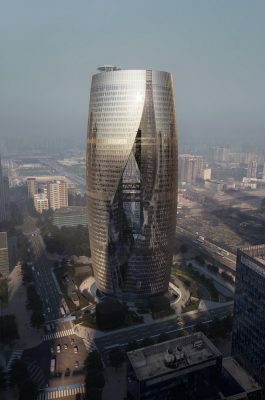 Within the Lize Financial Business District – a new business, residential and transport hub adjacent to Financial Road in southwest Beijing. The new building will be located at the intersection of Lines 14 and 16 currently under-construction for the Beijing Subway rail network. This temporary installation celebrates the 20th anniversary of Porto’s historic centre being classified as a UNESCO World Heritage site. 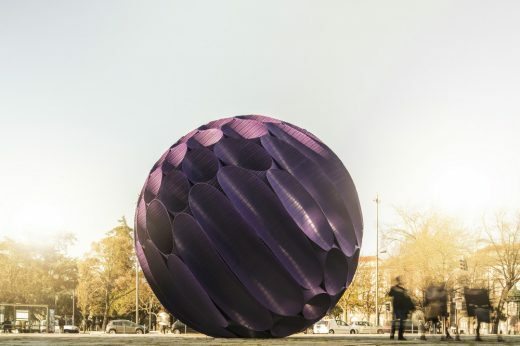 The architecture studio FAHR 021.3 created a sphere that shifts the centre of the square towards its gravitational pull temporarily. Joel Solkoff looks at housing access issues, from the low proportion of housing that is wheel chair accessible to the requirement of elderly individuals to spiritually uplifting laces such as museums. 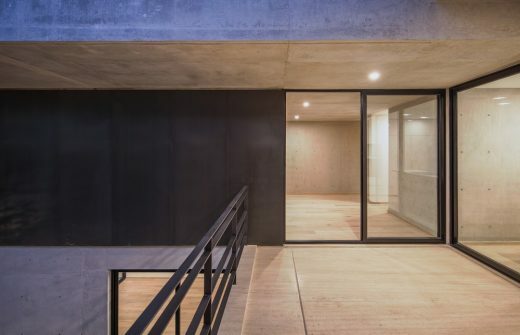 We feature selected buildings below that have recently appeared on the Architecture News. A wider selection of new buildings can be found in our monthly architectural news pages. 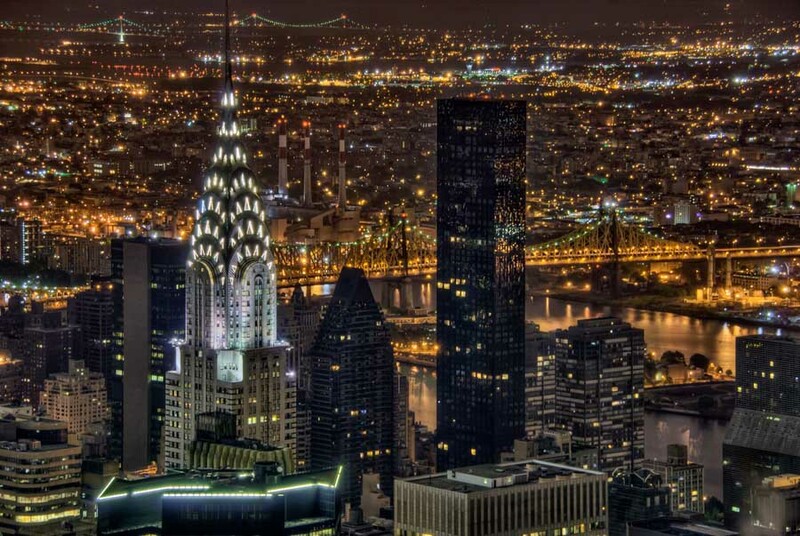 We try to choose major buildings / designs that have created the most interest for our readers. 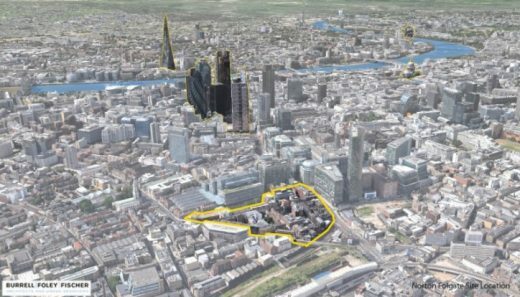 Buildings can be located anywhere in the world and don’t have to be contemporary – major building refurbishments and architectural redevelopments are also welcome.